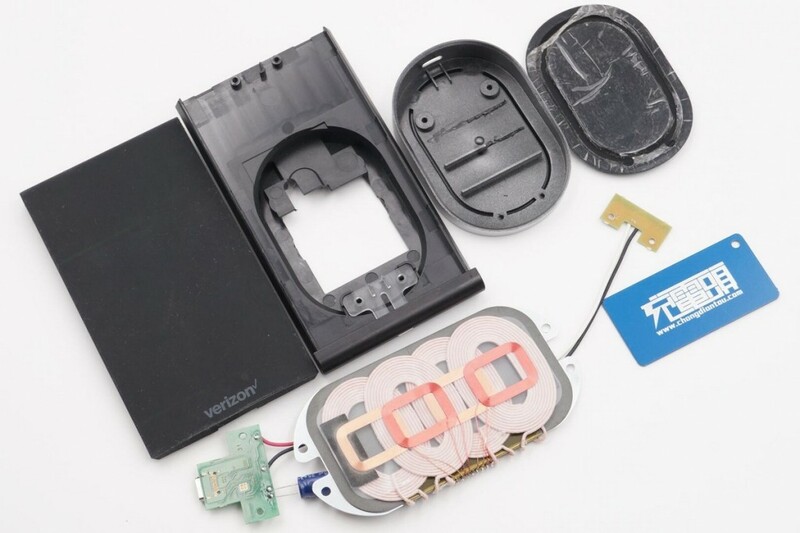 Verizon Releases the World’s First EPP Certified 15W Wireless Charger - 网友心声 - 充电头网论坛 - Powered by Discuz! 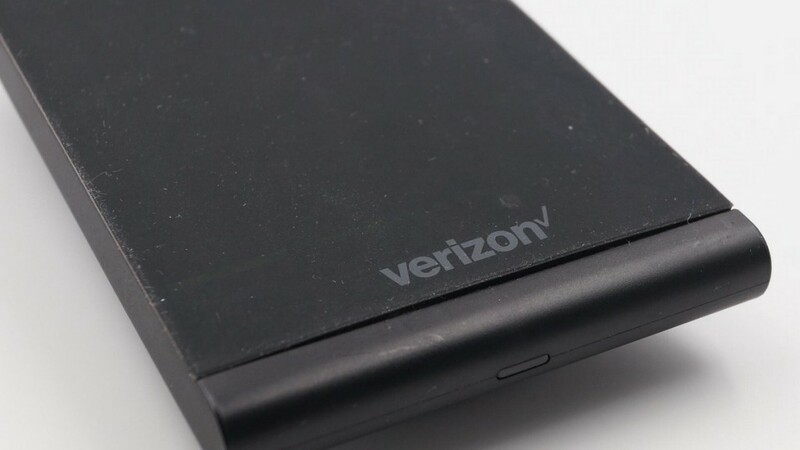 Verizon, the second largest telecom company in the United States, introduced a wireless charger pad that features the popular Type-C input. 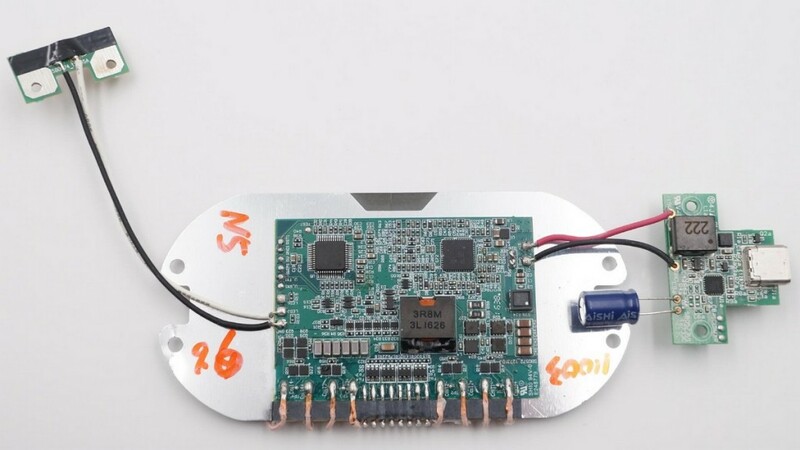 The CCG2 CYPD2122 controller enables a wireless power transfer via internal conversion. 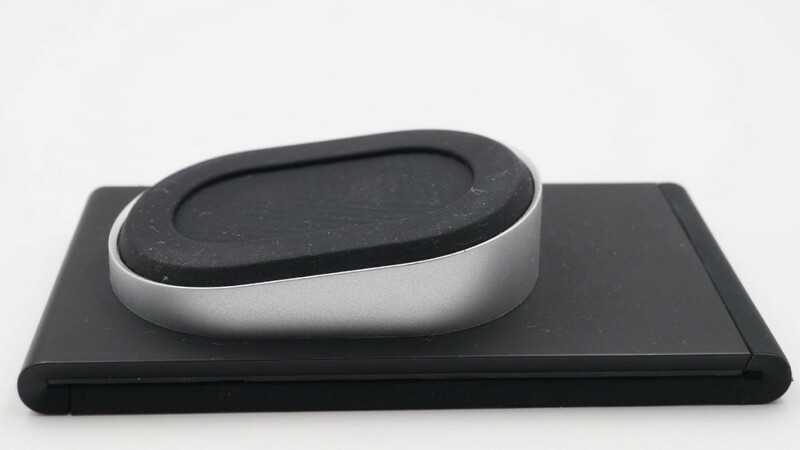 The wireless charger pad powers up any Qi-compatible devices, including Samsung’s fast charging phones. 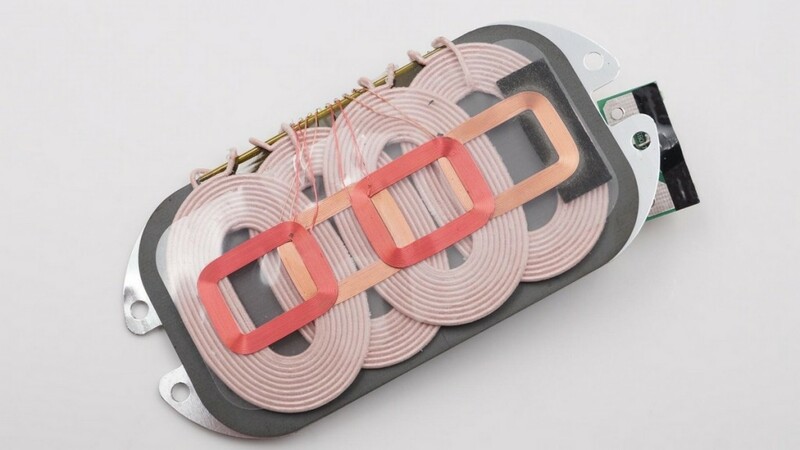 This is the world’s first certified EPP Qi multi-coil 15W charger. 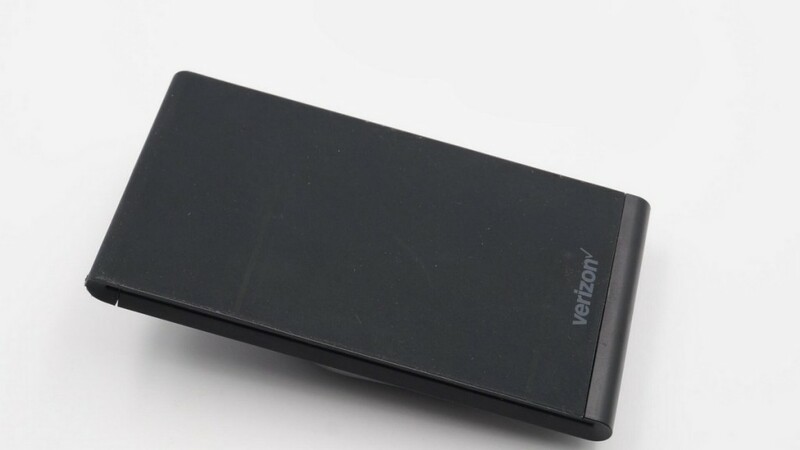 You can charge your phone horizontally or vertically with his Verizon charger. 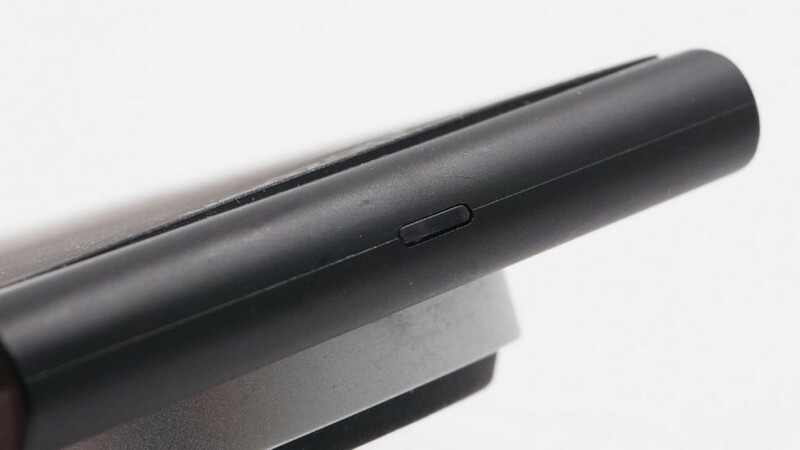 The base has a slight tilt to allow users to see the screen easily when the phone is being charged. 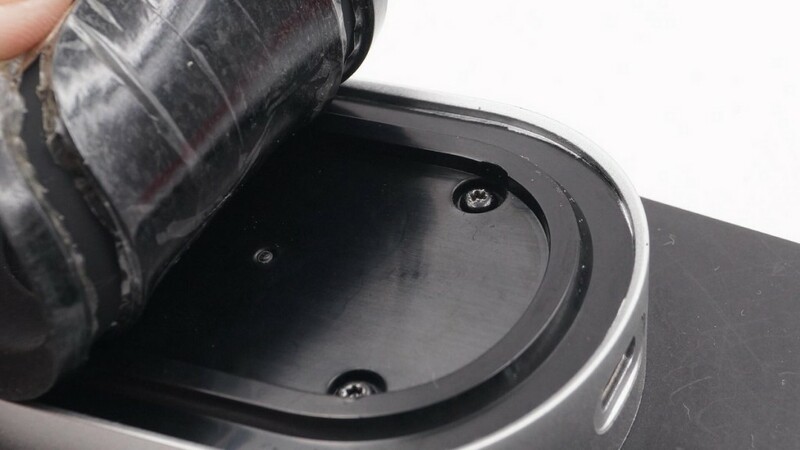 The charger pad comes with a layer of non-slip rubber coating. 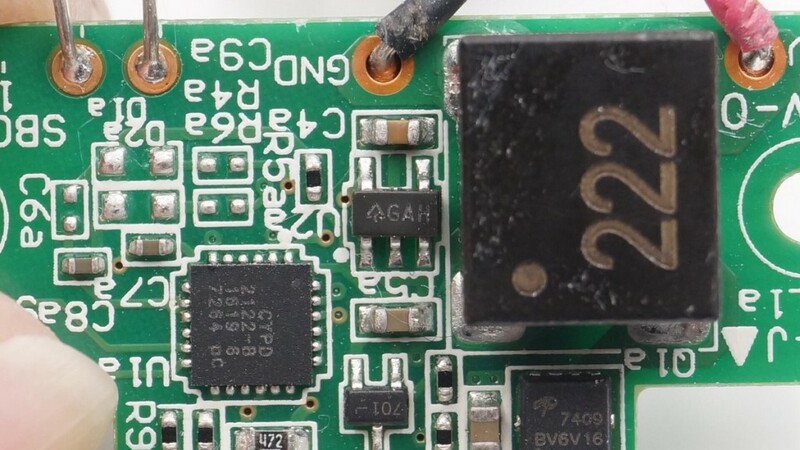 It’s good that the charger won’t slip, but the coating does attract dust. 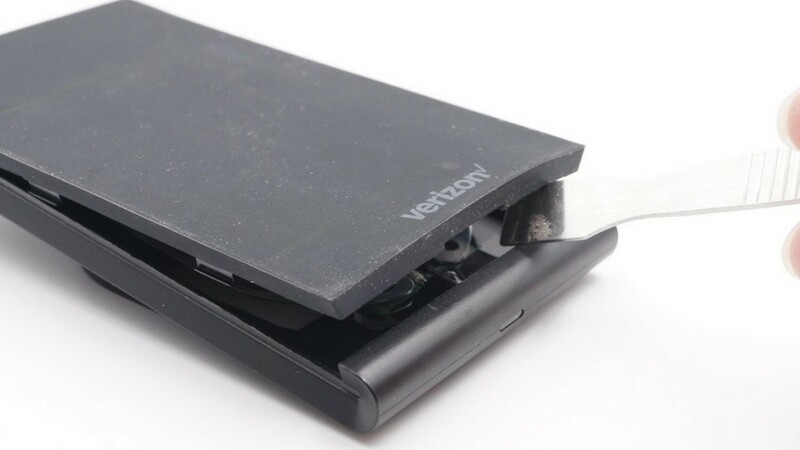 Though the charger is rectangular, the base is circular. 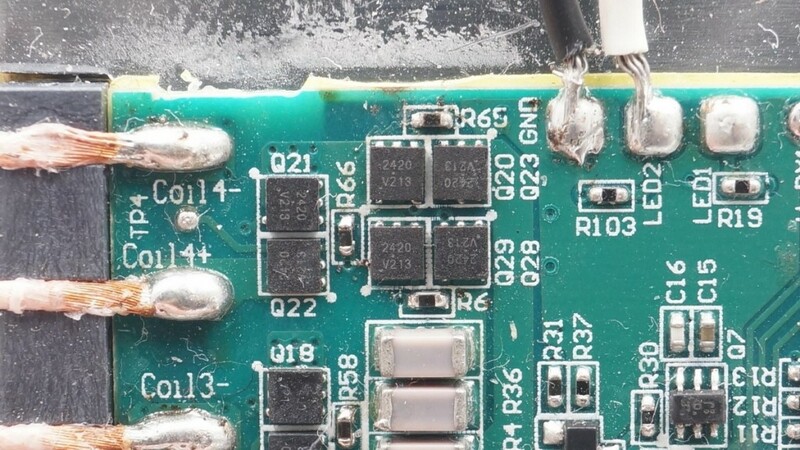 According to the official website, this charger supports Samsung ‘s fast charging devices. 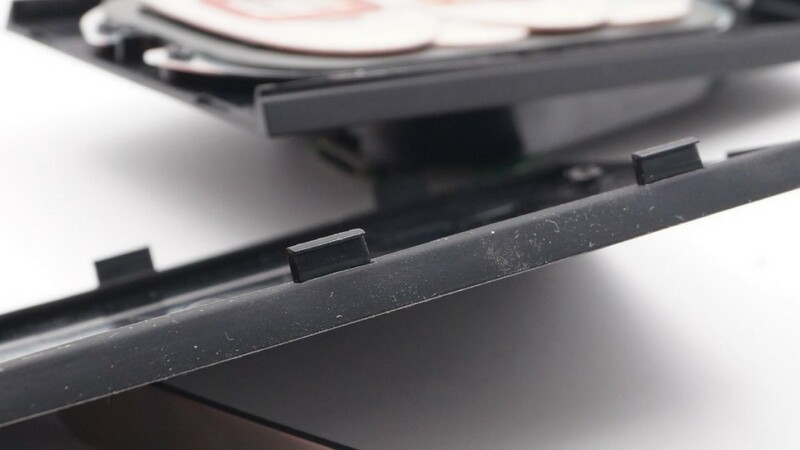 You can see the screws after removing the anti-slip pad. 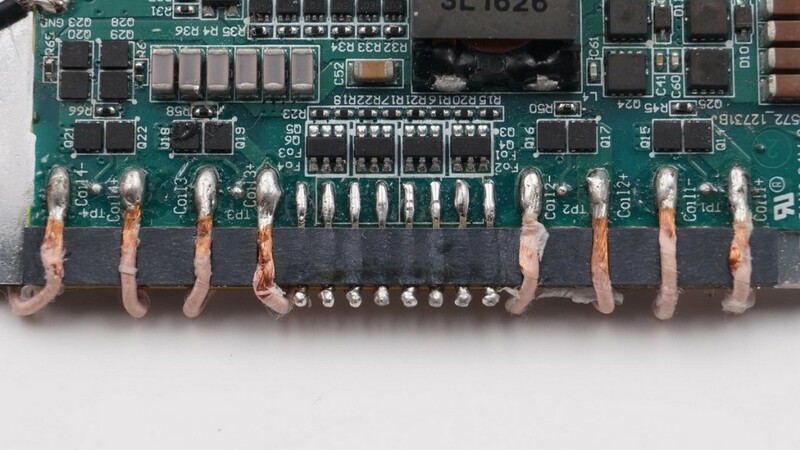 There are two circuit boards underneath. The front panel is locked in place with buckles. 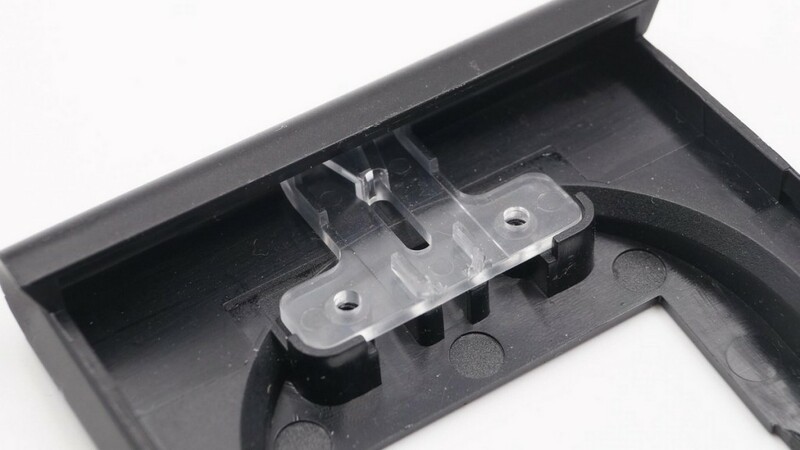 You have to loosen the two longest screws on the base panel first to open it. 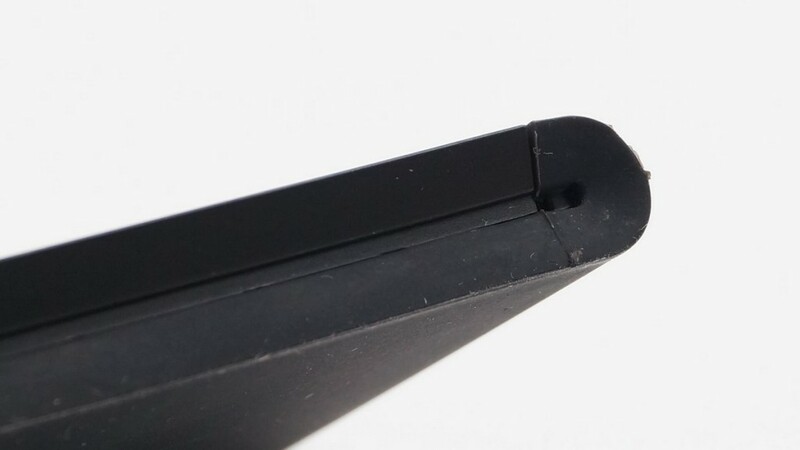 A close-up of the buckle lock. 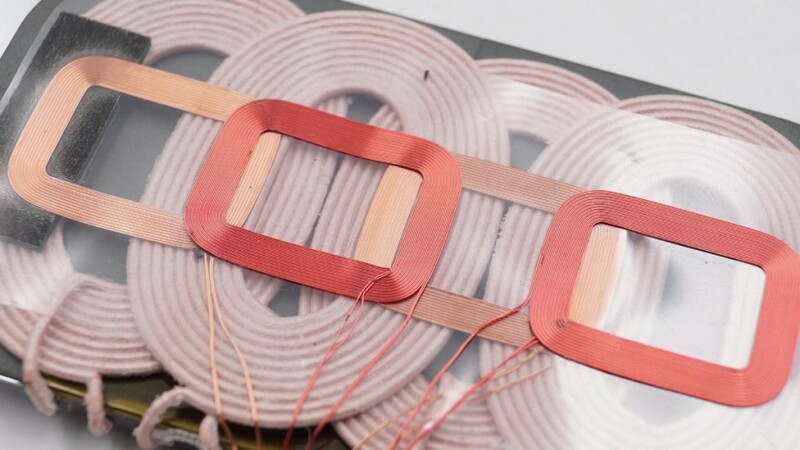 There’s a total of eight coil; the upper four coils are responsible for the identification of foreign objects and the lower four coils are responsible for charging. 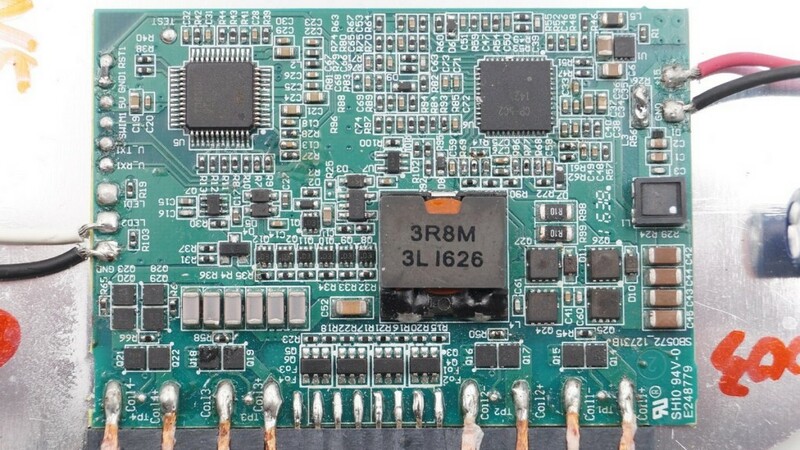 The front and back of the circuit board. 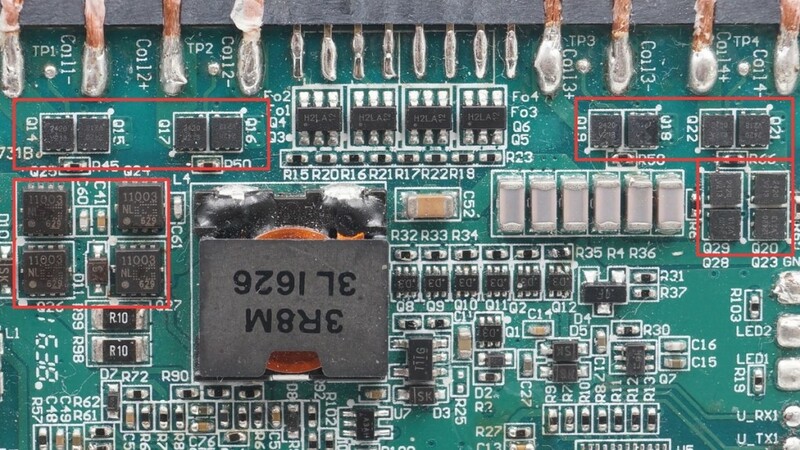 The left one is the LED light guide plate, the middle is the main circuit board, and the right is the input board power control. 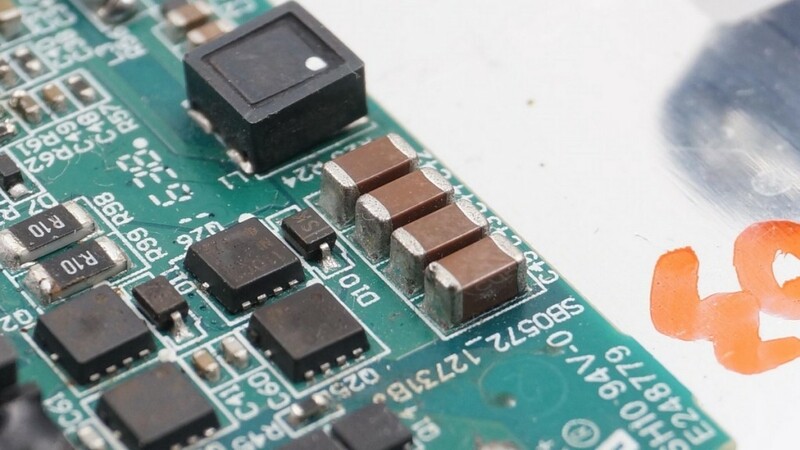 The back of the circuit is clean and organized with a piece of insulation tape to protect it. 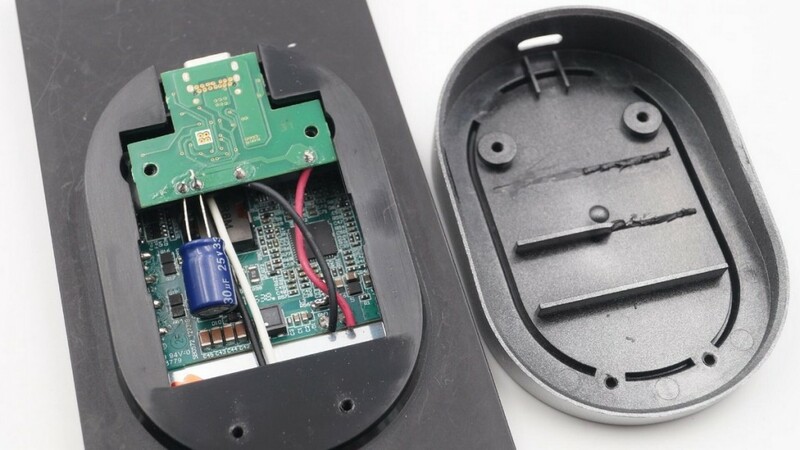 The metal plate under the charging coils is responsible for the ferrite’s protection. 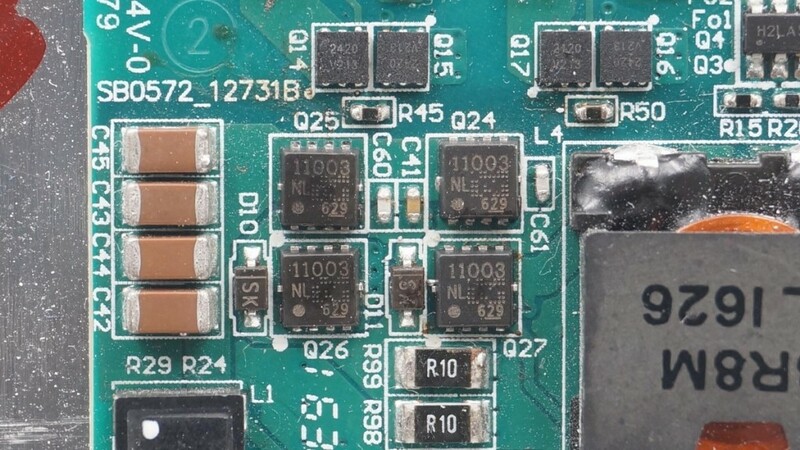 There are four nicely arranged coils to identify any foreign bodies . 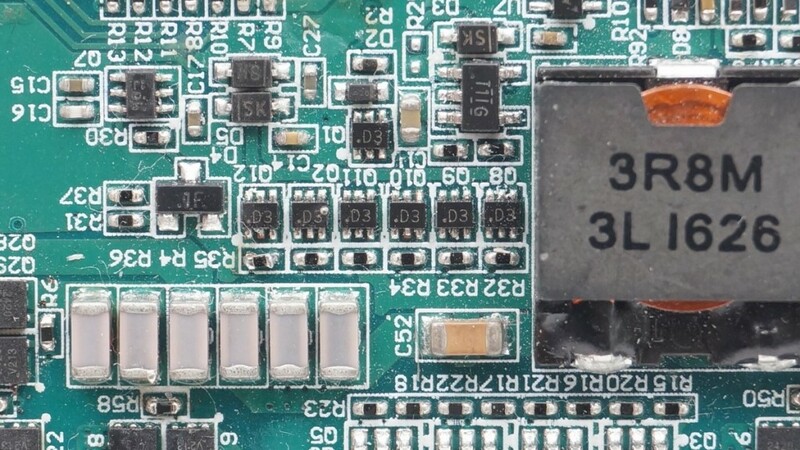 A close-up of the front of the PCB, there are six 1210 NPO capacitors. 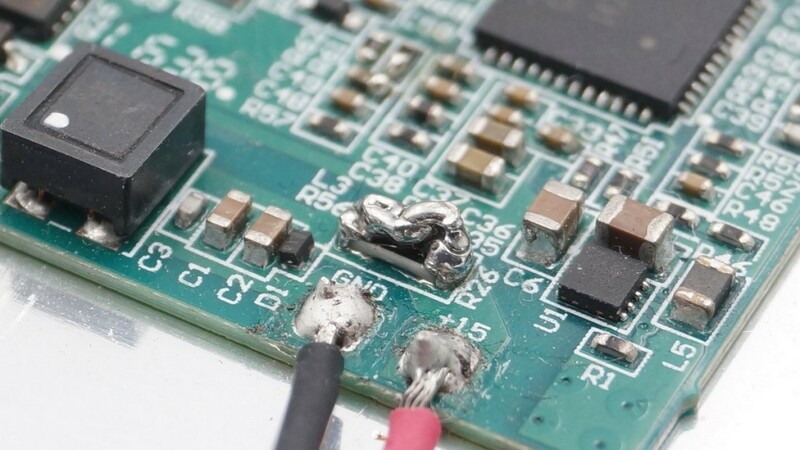 The solder joint of the charge coil and the coil to identify foreign objects. 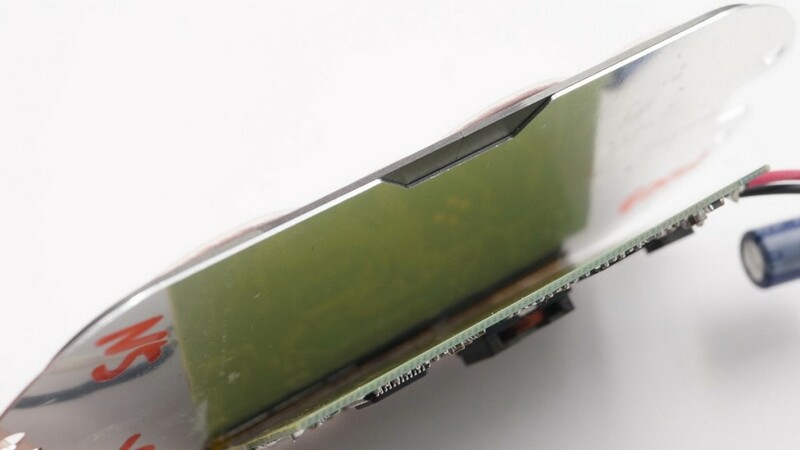 LED indicator board. 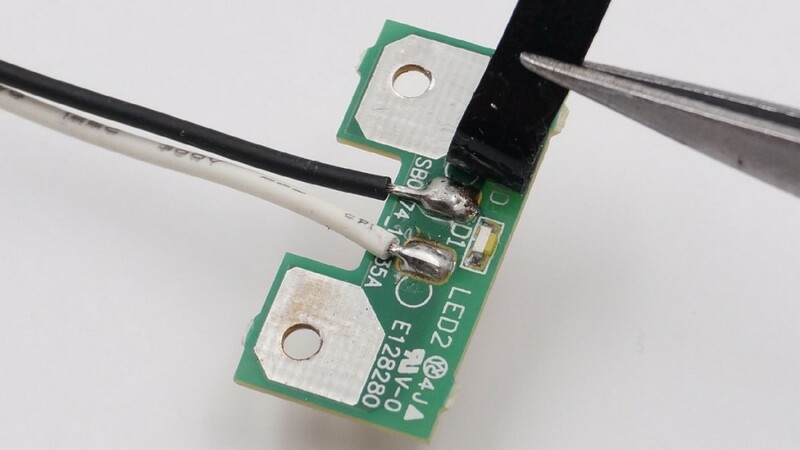 The LED with shade treatments. 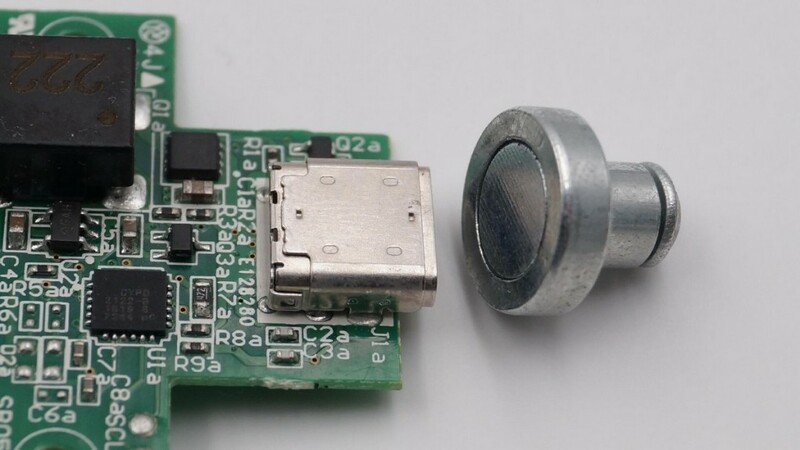 The insulated USB Type-C port. 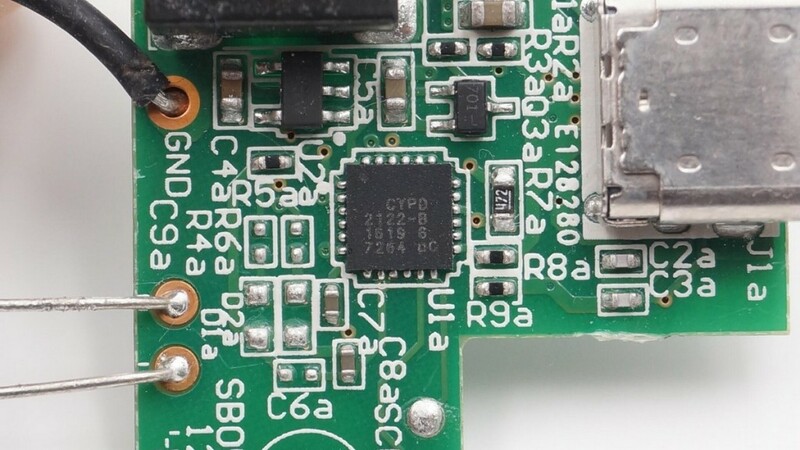 USB Type-C Controller chip CYPD2122 is used for power delivery. 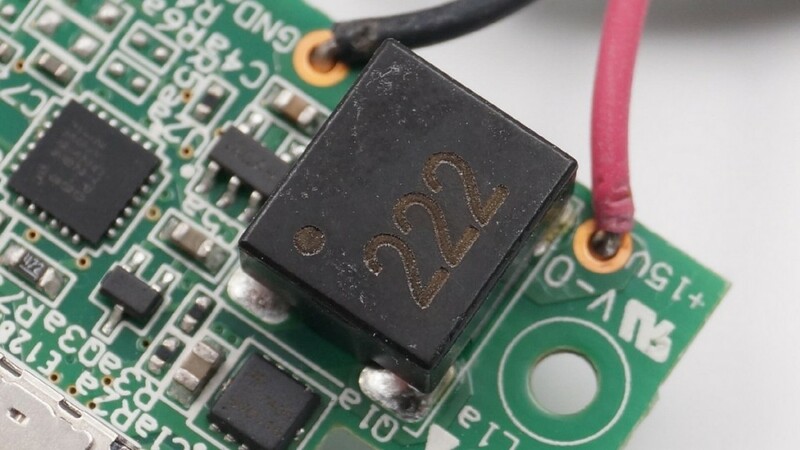 Diodes AP2204k-3.3 is used for CYDP2122 power supply. 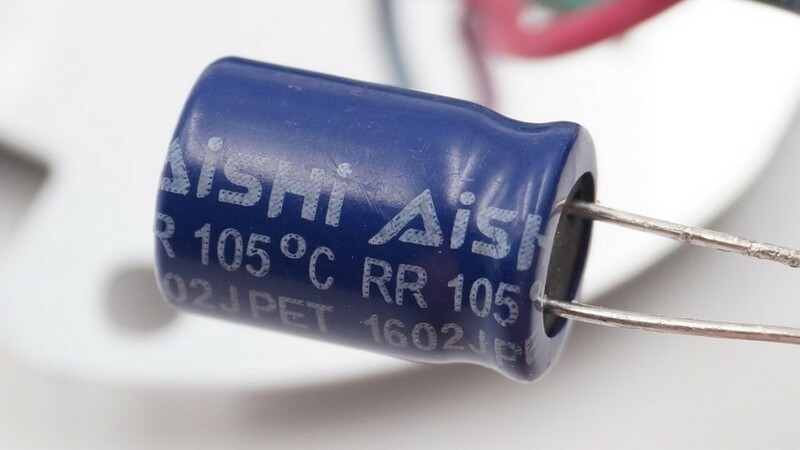 Input filter capacitor, AISHI electrolytic capacitor. 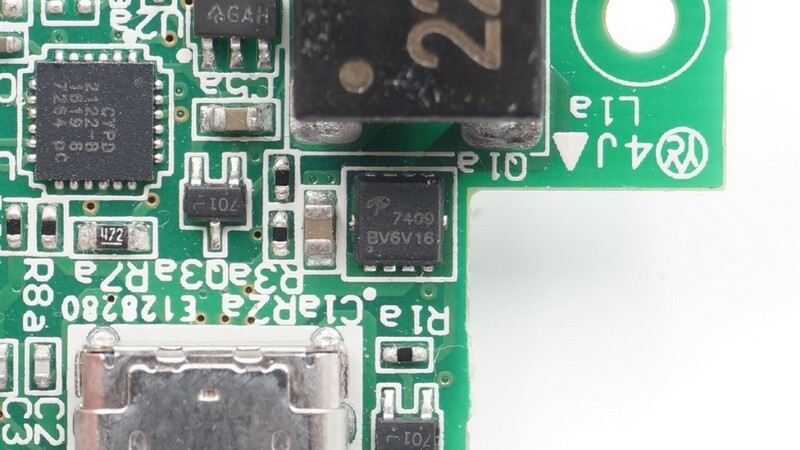 There is a patch resistor on the side. 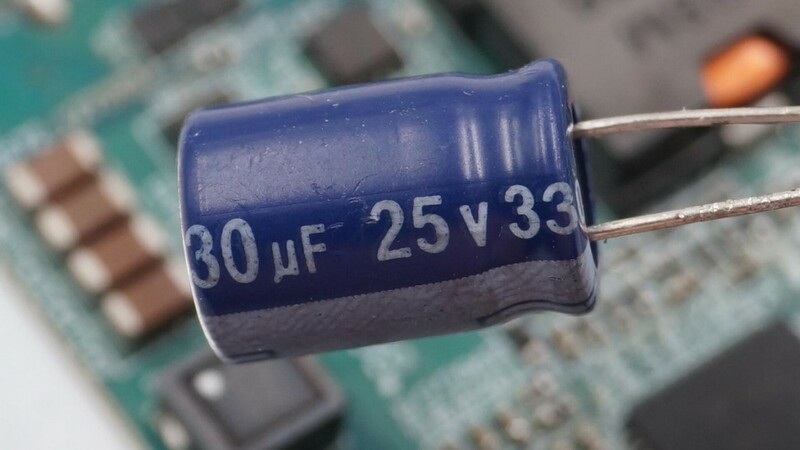 The six NPO capacitors are divided into two groups. 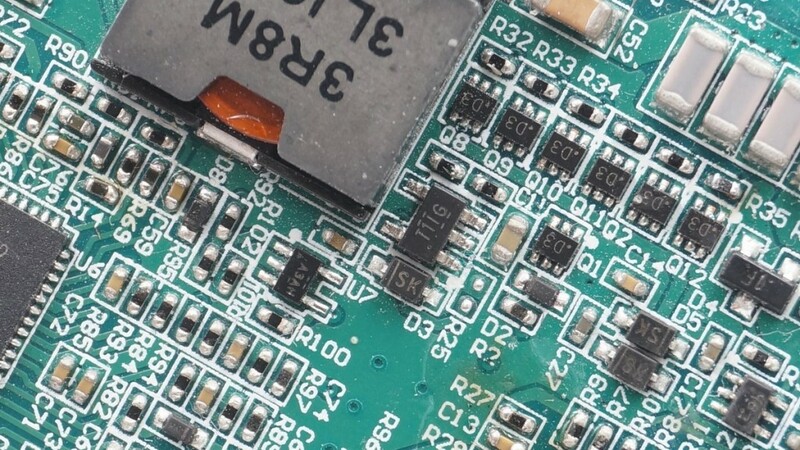 There is also a common-mode inductor on the power board. 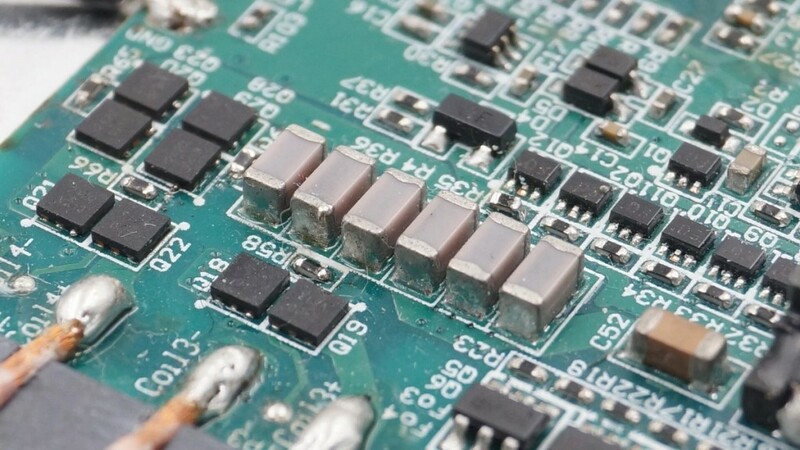 Copper inductance offers a high conversion efficiency at low temperature. 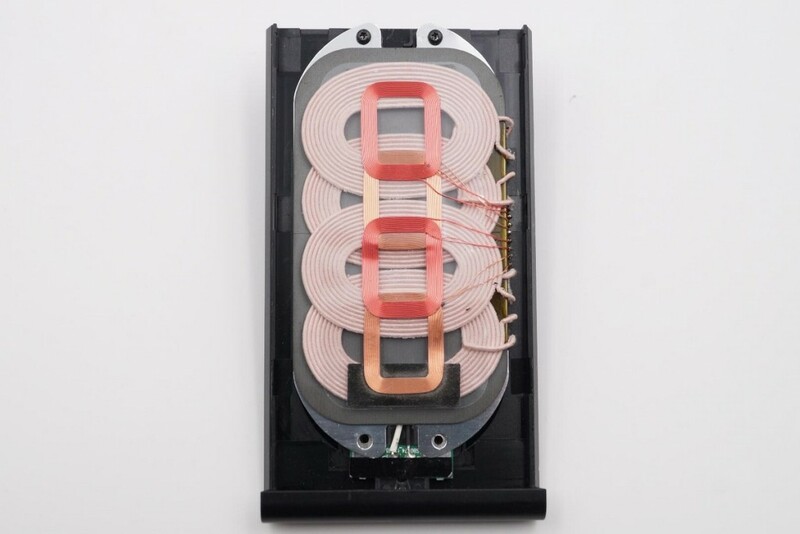 The detector on the coil to identify foreign bodies. 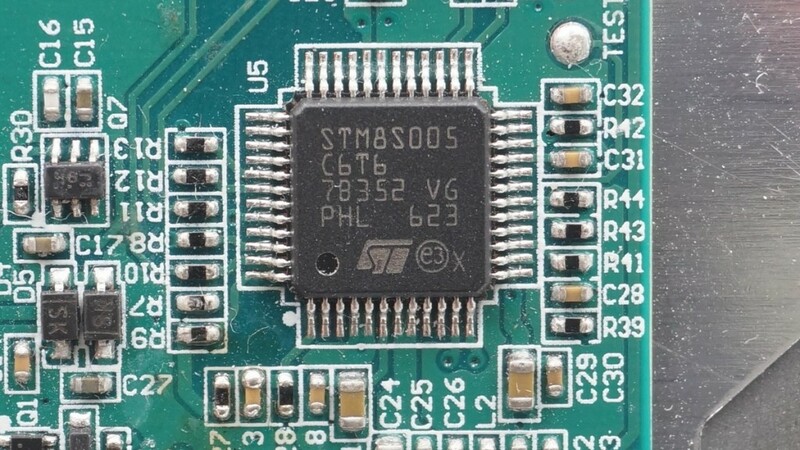 The driver circuit is indicated by the red outlines. 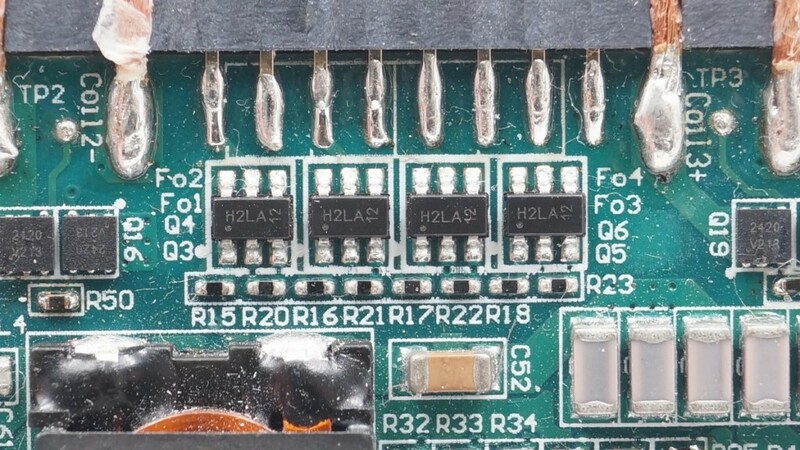 Next to the coil is the TL331, a single comparator. 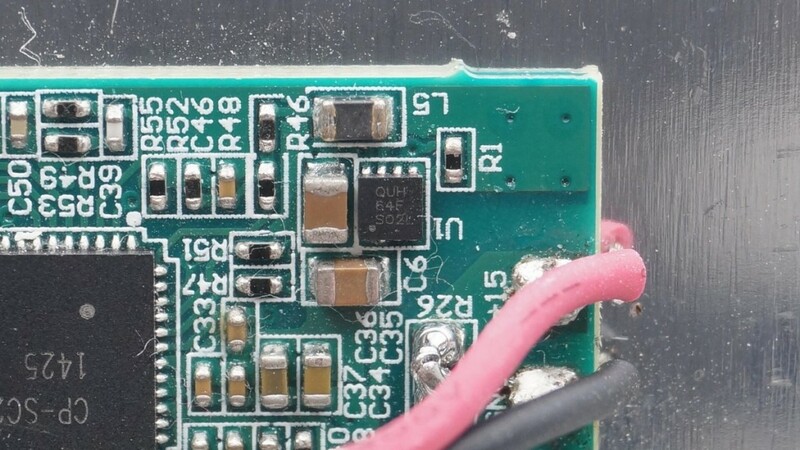 MOSFET Dual transistor driver. Avery small TI TPS62173 5V output synchronous switch step-down. 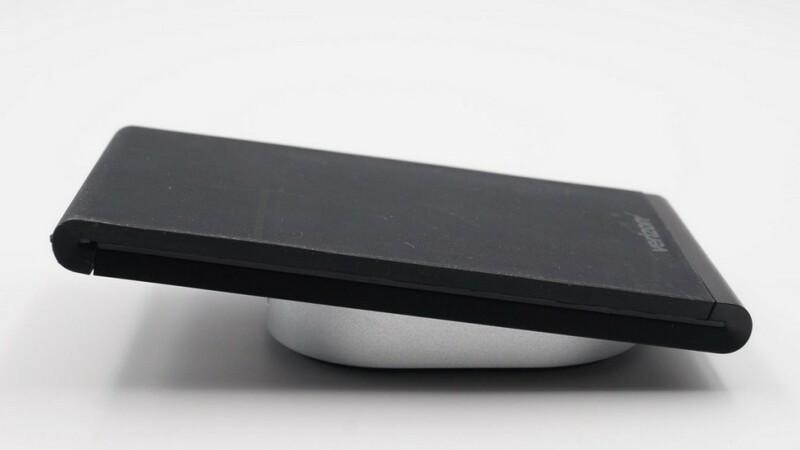 Siyin CP-SC2 chip is the core of the wireless charging pad. 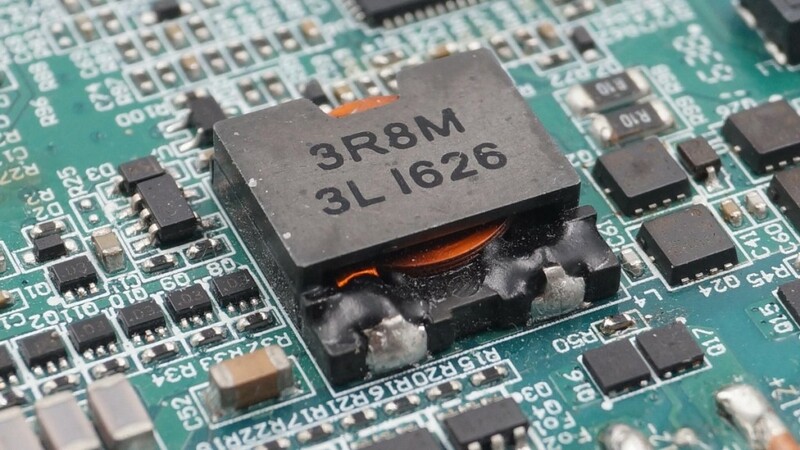 It’s a single-input power management chip that is specifically designed for wireless charging applications. 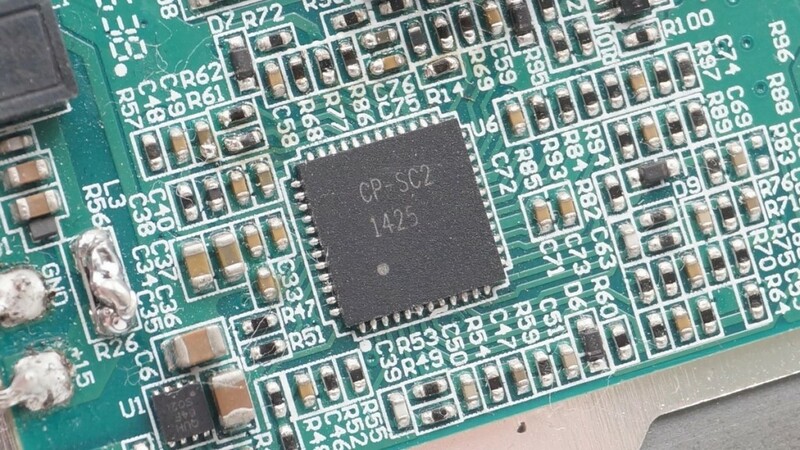 Through the serial bus, CP-SC2 can communicate with the external MCU to obtain information to drive the battery charging chip. 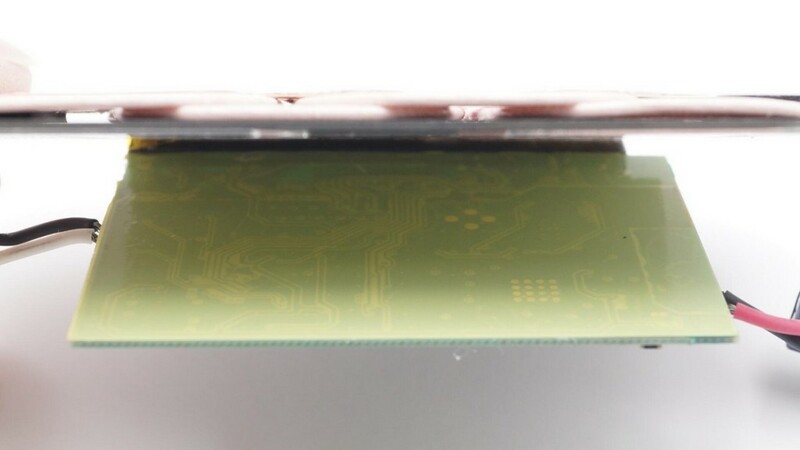 The integrated power tube directly drives the external power switch while the chip has a built-in circuit detection. 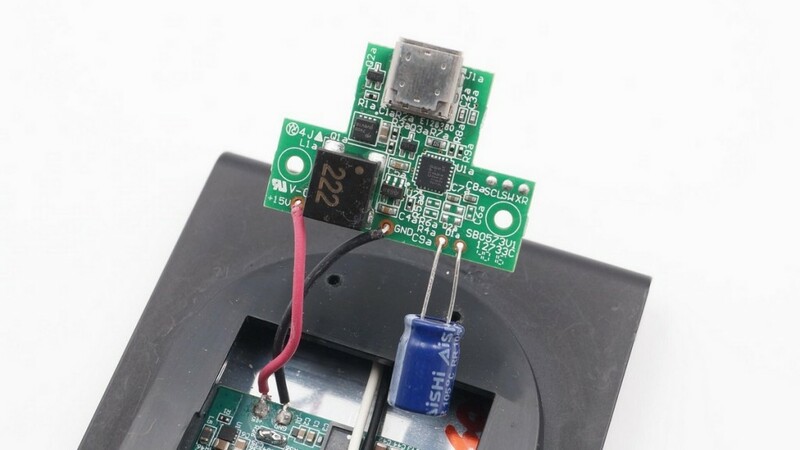 When over-current or over-voltage is detected, it will automatically turn off the power tube.